I have a multi-language site. How this is supposed to work is that on /fr pages, everything except main navigation block should be in French. However, main navigation menu block should be in whatever currently logged user's language. I tried to change language code in custom module using block or menu hook, but none of them worked. You don't need a custom module for this. 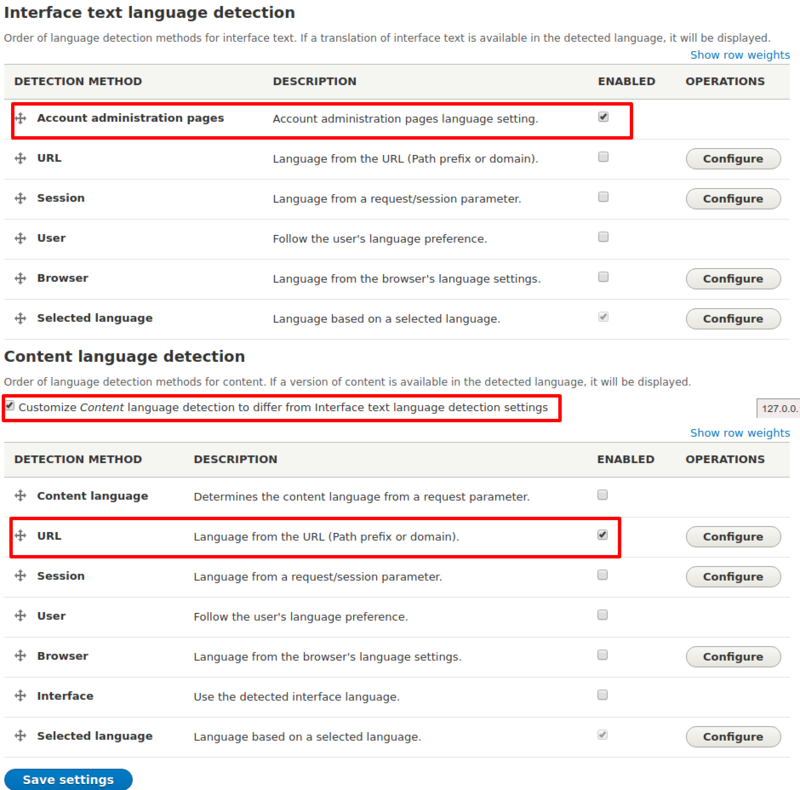 Drupal can have seperate language detection for interface (menu item/interface elements) and content. There was a bug that was fixed recently so make sure you are on the latest 8.6.x version. Assuming you have enabled all 4 core language modules and you have enabled at least 1 extra language than configure the language detection methods to accomplish what you want as I its outlined below. enable content language detection. This will make available the language switcher (content)) block. enable 1 detection method. In my case I choose url (i.e. /en /fr) but you can choose any other or more methods if you like. ΝΟΤΕ: The detection methods take precedence as they appear from top to bottom provided they are also enabled. Now lets say a user has chosen English as their interface language they can press on the language switcher (content) and their interface (menu, admin menu etc) will always stay English.